ENDURING STRENGTH FITNESS: Do You Wear Your Busyness as a Badge of Honor? Do You Wear Your Busyness as a Badge of Honor? I'm reading "The Yamas and Niyamas" by Deborah Adele. This book provides a perspective on the ethical practices of Yoga. The Yamas and Niyamas can be thought of as guidelines or words of wisdom to live by; the Yamas are the first five ethical practices which include nonviolence, truthfulness, nonstealing, nonexcess, and nonpossessiveness. Nonstealing struck me for a couple of reasons. First of all it's not a word (and that bugged me) and I'm not a thief. Also, on the surface it seemed far too simple to be words of wisdom. Upon deeper reading I found that nonstealing is something I really need to work on. For example, we could be stealing from ourselves. Being too preoccupied to actively participate in our own life is an example of stealing from ourselves. Rather than living in the moment we're mentally somewhere else and stealing those moments away from making new memories. I'm making an effort to slow down and smell the roses so to speak. Rather than wearing my busyness as a badge of honor I'm starting to see it as something entirely different. Using a mind-body practice is one way to incorporate the wisdom of nonstealing in our lives. In mind-body classes like Yoga, Pilates, Tai Chi, Barrecore, etc participants are encouraged to use their mind to make movements, to contract certain muscles and to relax others. The focus and the intention that these classes require offers the perfect opportunity to "live in the moment." These classes encourage our mind to draw awareness to our body and our breath. They encourage us to focus on our motor skills, things like balancing on one leg in Bow or lifting the chest and legs simultaneously in Locust. These movements draw out the distractions and let us be truly present. Our minds may still wonder, but simply by attending mind-body classes we are creating a space to focus and live in moment. 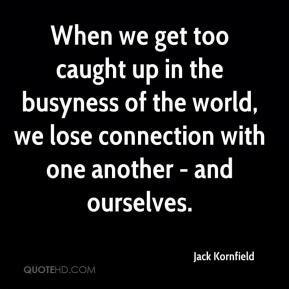 Here's a great article about the authors personal experience with busyness.